FILL the large pan with water and salt or a vegetable stock cube and bring to a boil. 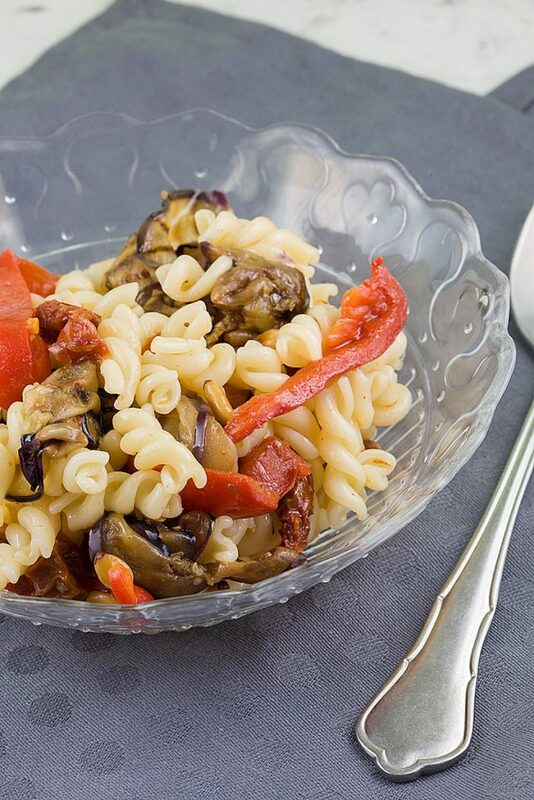 COOK the pasta until it’s al dente, the exact time depends on the type of pasta. SLICE the eggplant in slices, not too thick but also not too thin. You can use a kitchen cutting machine, mandoline or vegetable peeler to create even slices. ADD the slices to a colander and add salt to the slices. ROAST the pine nuts in a dry skillet, season them with salt and set aside. DRAIN the pasta and place under running cold water until the pasta has cooled off completely. 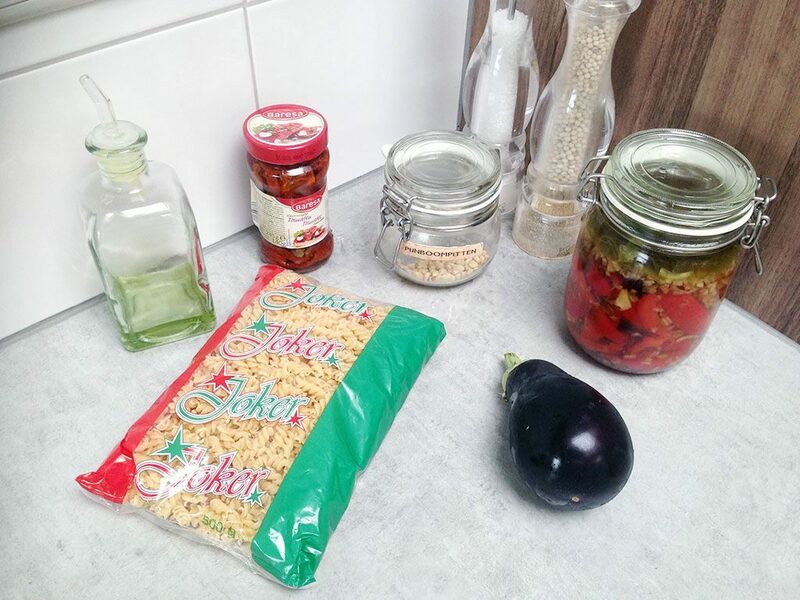 PAT the eggplant slices dry using paper kitchen towels and drizzle them with olive oil. HEAT the grill pan and grill both sides of the eggplant until the grilling pattern appears. REPEAT until all the eggplant is grilled, season them with pepper and salt and set aside. 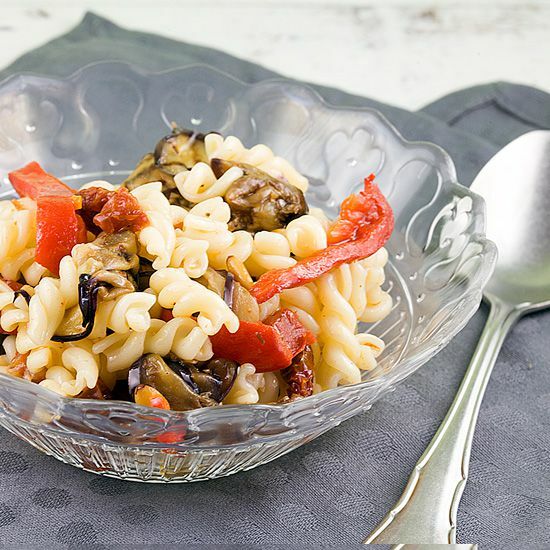 CHOP the roasted peppers into thin strips and the sun-dried tomatoes into pieces. 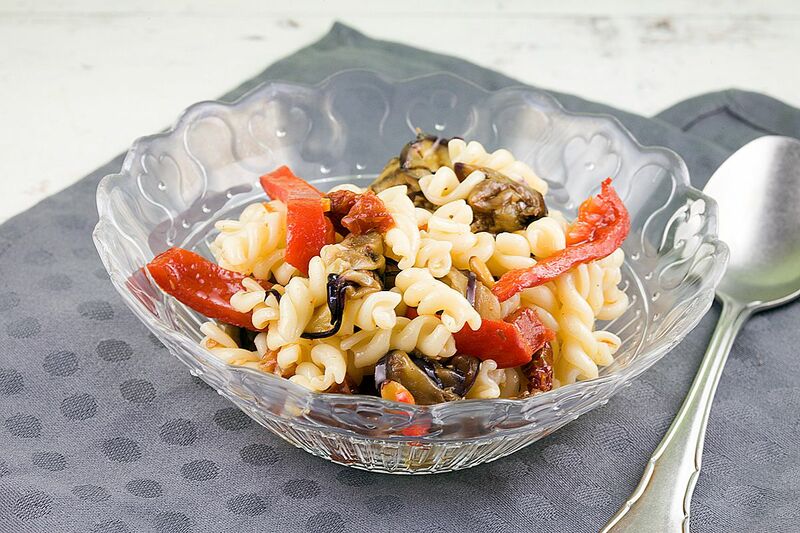 COMBINE the peppers, grilled eggplant, sun-dried tomatoes and oil from the jar with the cold pasta. SEASON with pepper and salt and divide the roasted pine nuts on top. Enjoy!